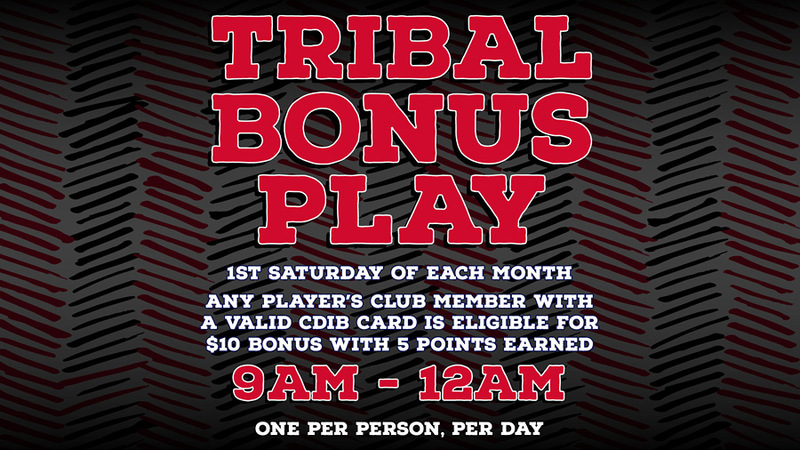 Join us the first Saturday of every month for our Tribal Bonus Day! Just earn 5 points on your Players Club card and receive $10.00 in FREE Play. Present your CDIB card to the Players Club host to receive your free play.